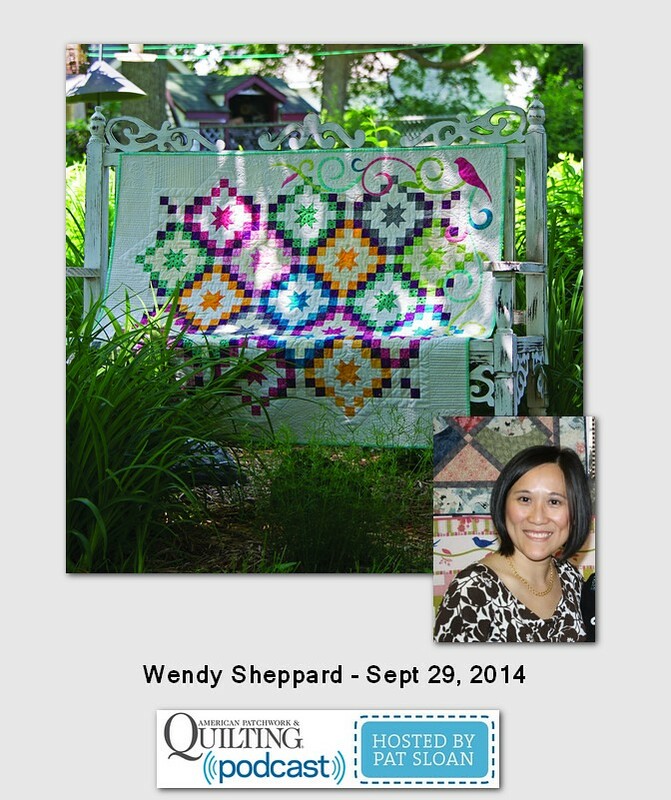 Wendy Sheppard is the designer at Ivory Springs. You have seen her clever and beautiful designs in magazines, showcasing fabric lines for fabric companies and in her own patterns. Now she has a wonderful book called 'Recreating Antique Quilts'. Our shared love of using antiques for inspiration is one of the things we'll explore today! 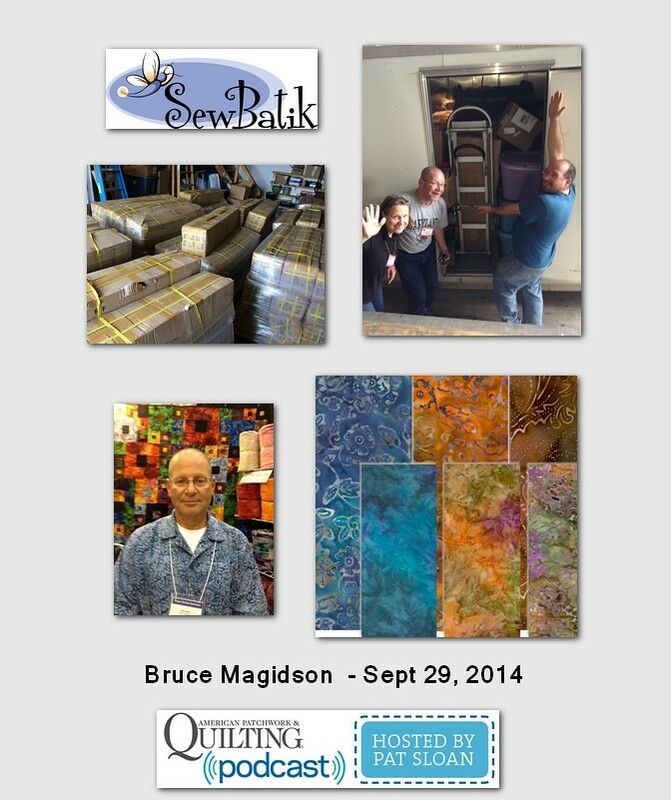 Diane and Bruce Magidson co-founded SewBatik in 2004, and we have never been the same! Bruce is the designer of the batiks they sell, and today he shares his process and why they decided to start a family business manufacturing batiks. Jacquelynne Steves is a wonderful artist! She is always creating new images, fun projects and even has an amazing newsletter filled with her art, recipes, free projects you will love and more! She and I are going talk about creating a special quilt. What goes into it, the process we have had.. plus she has a project starting and is going to share that and a lot more with us!